Minty and Rémy were really excited to make a little video for Easter – including Minty’s Easter Cupcakes and a little sugar high! Happy Easter everyone! Easter Special from Ladles and Jellyspoons from Lucy Lean on Vimeo. Happy Easter from all of us here at Lucy Lean (formerly Ladles and Jellyspoons!) We love Easter – we think it’s one of the most fun of the holidays because it seems that there are so many fun crafting projects to do – from dying easter eggs – note we used the regular dye but we only used a quarter and dipped very briefly to get these subtle Farrow and Ball shades to our previous posts of beaded eggs. We will add glitter letter stickers and use them as placement tomorrow for the Brunch. 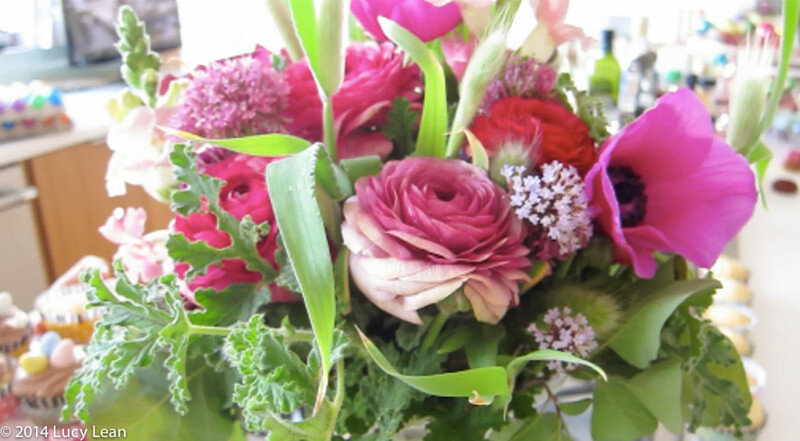 We are getting very excited for our Easter Brunch – we have beautiful flowers, including bunny tails from SilverLake Farms and lots of pink – pink everything. 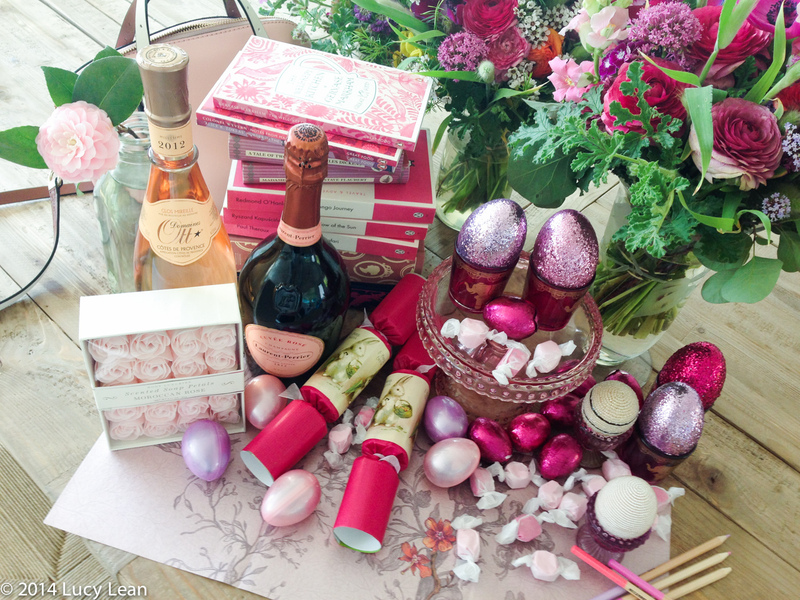 Think Pink and you can’t really go wrong! This year we are taking our Easter Egg hunt into the pool and will be diving to the bottom of the pool in search of treasure. As promised here are the recipes for the Easter vanilla cupcakes with chocolate frosting and candy eggs. 1. Heat oven to 350F and line two muffin tins with 24 pretty cupcake papers. 2. In a small bowl, add the flours; stir to combine; set aside. 3. In a large mixing bowl add the melted butter to the sugar and mix well. 5. Add the flours in three parts, alternating with the milk and vanilla. 6. With each addition, beat until the ingredients are incorporated but do not overmix. 7. Spoon the batter into a jug and pour into the cupcake liners, filling about 3/4 full. 8. Bake in a 350° oven for 20-25 minutes. 9. Cool the cupcakes in the tin for 5 minutes. 10. Remove cakes from the tins and cool completely before icing. Put the sugar into a large mixing bowl and slowly add the cream until a thick consistency is reached, combine thoroughly, making sure there are no lumps and use immediately. Cadbury’s Mini Eggs for decorating. Top the cupcakes with the chocolate frosting in a swirl and then decorate with 3 Cadbury’s mini eggs. 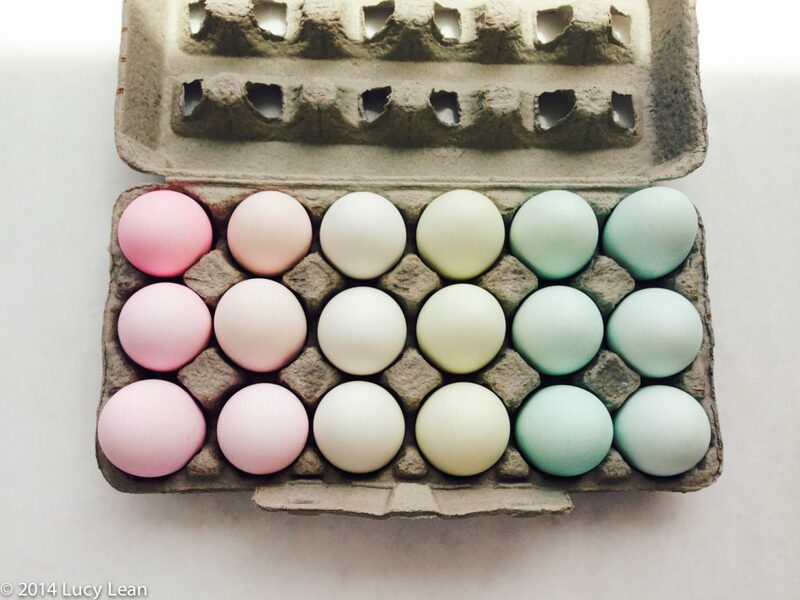 Minty says to choose three different colored mini-eggs to top each cupcake. Baked Alaska from Lucy Lean on Vimeo.